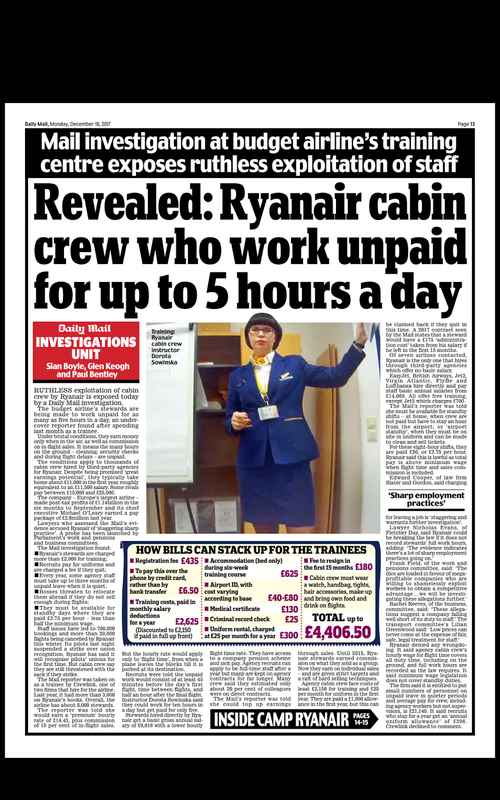 Ryanair agrees to new rights for cabin crew after investigation reveals appalling working conditions endured by staff. 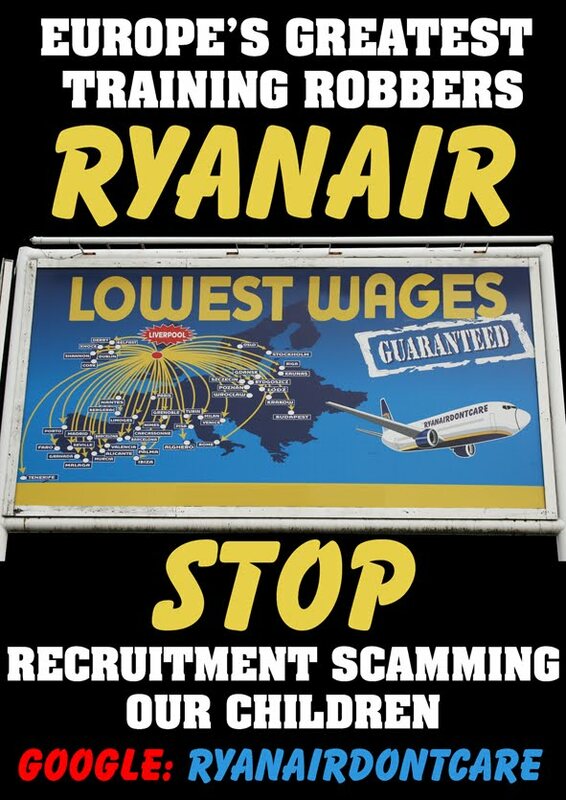 http://www.dailymail.co.uk/news/article-5196213/Ryanair-agrees-new-rights-cabin-crews.html This is great news for the thousands of probationary cabin crew at Ryanair.The future and career aspect of young cabin crew's lives could be about to change at Ryanair.This has got to be a posative move and a big thank you must go out to the whole Investigations team at the Daily Mail who did an amazing thing here. 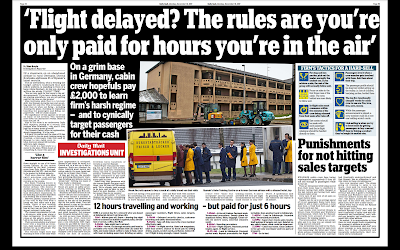 Things in the past ,we can learn from so can Ryanair, and I would hope the employment agencies Crewlink Ireland and Dalmac's Workforce International would now be close down. 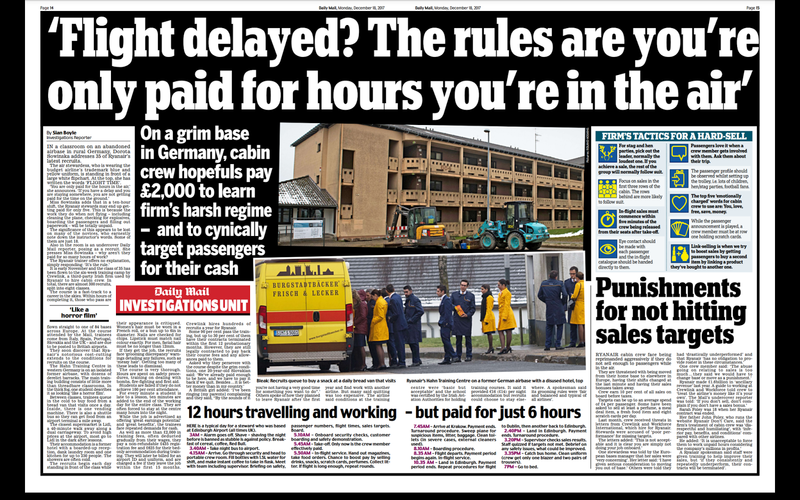 As well as the foul treatment by Ryanair of my own daughter and thousands more like her,the death of a Ryanair pilot Paul Ridgard in 2011 must be exposed and those management Scum at Ryanair involved,be held accountable.. Commons’ work and pensions committee we would hope will now do a full investigation into Ryanair's employment set up which should have been done in 2009 when I first exposed the Recruitment for Termination scam at Ryanair.. The Ryanairdontcare Campaign logo used since 2009.